Today is smoothie promise day. 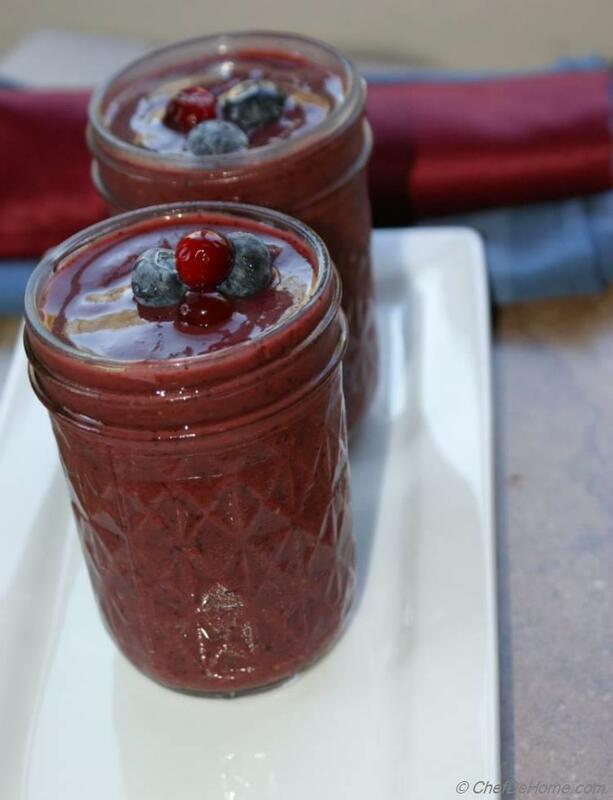 I promised to share with you smoothies for lunch to help you get fit and healthy this summer. 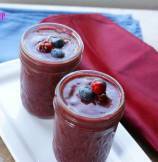 Today, I am sharing a smoothie packed with health and is antioxidant power house. 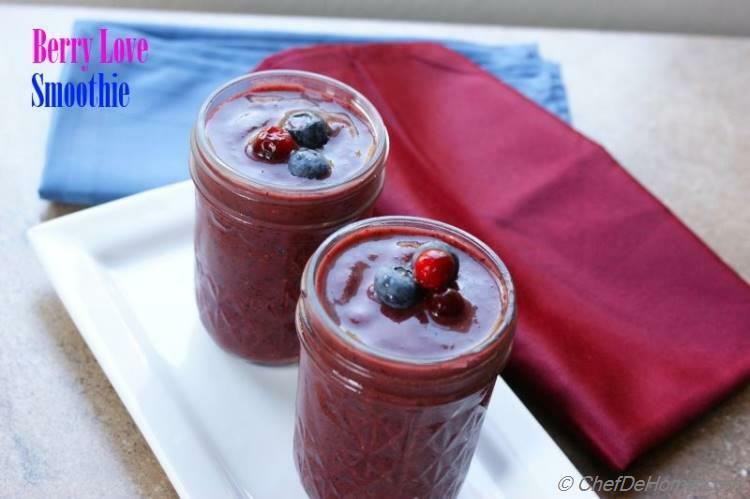 Delicious blend of Strawberries, Cranberries, blueberries and Acai will make you crave for this smoothie every day. 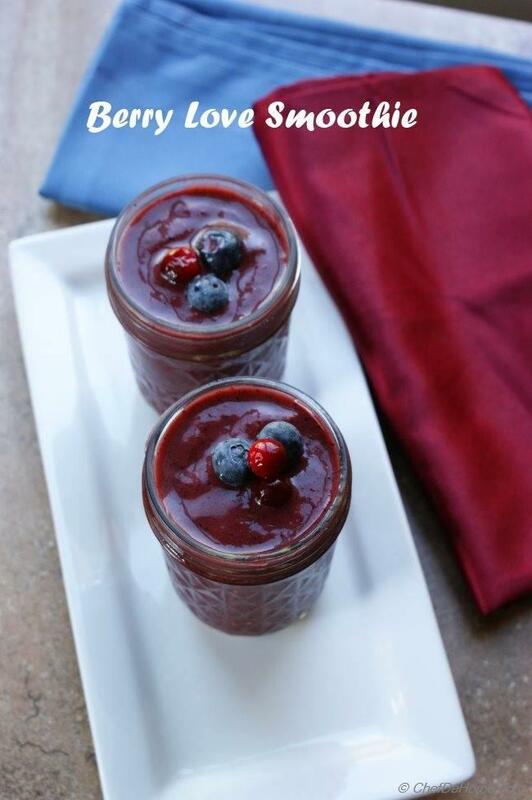 You can include this smoothie for one day of the week in your smoothie regime for lunch week. I will recommend not repeating any smoothie twice in same week. For good health, you need bouquet of colors in your raw fruit/vegetable smoothies, we don't want to get just one kind of nutrient. 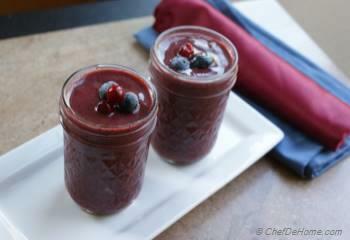 And see this way; this berry goodness smoothie will fit in your budget too. In recipe, I have listed one tbsp honey but I have not used it in the smoothie. 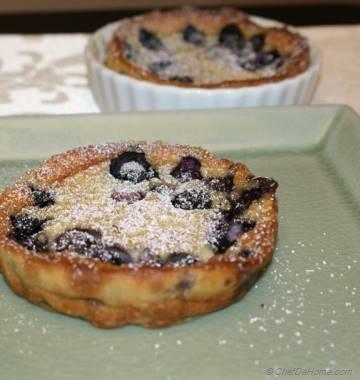 It is only needed if your strawberries batch is on tart side or if berries taste too tart to you. 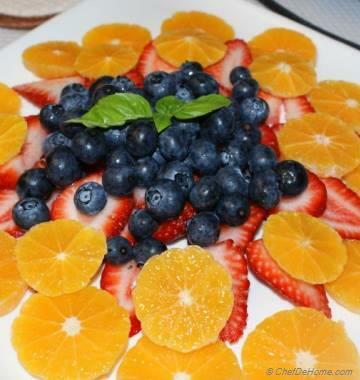 So drink healthy, eat healthy, enjoy and take care of your health one day at-a-time. 1. Add water to blender jar followed by banana, then top it with strawberries, blueberries, cranberries, acai berry powder (keep few berries for garnish) and honey (if using). Blend at slow speed till all ingredients are crushed then increase speed to make a smooth emulsion. 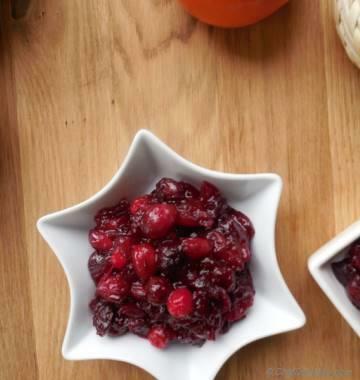 When done to your liking, pour in glasses, garnish with few berries and serve immediately. Please note, if you cannot find acai powder, feel free to use 1/2 cup fresh or frozen blackberries instead of acai powder. I do not recommend using sweetened acai juices.